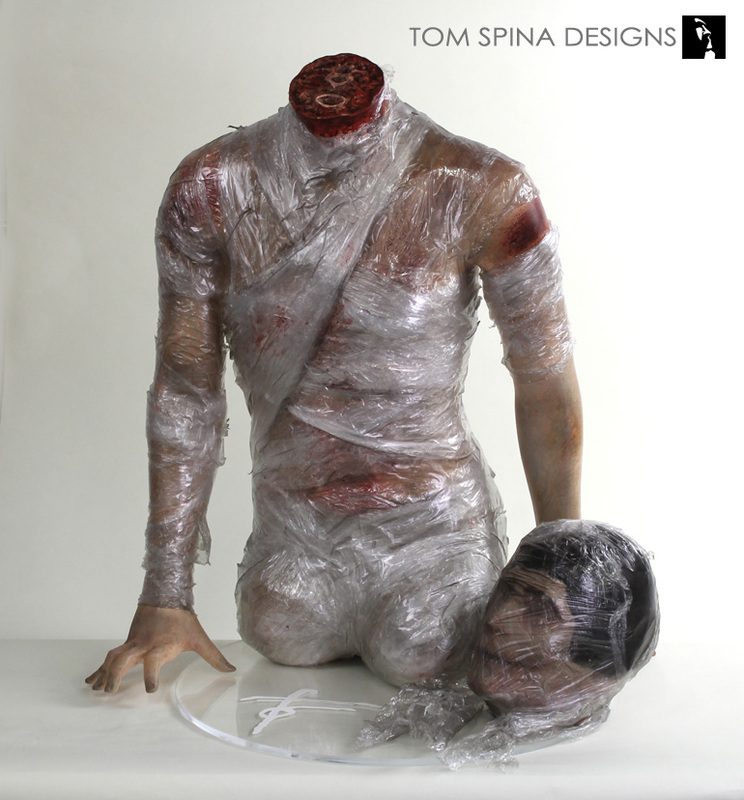 Thirteen Ghosts Torso custom mannequin – turning an original movie costume into a wax museum figure! 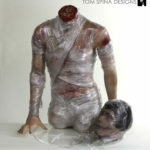 We have previously created several custom display mannequins for our client’s expansive Thirteen Ghosts costume collection. 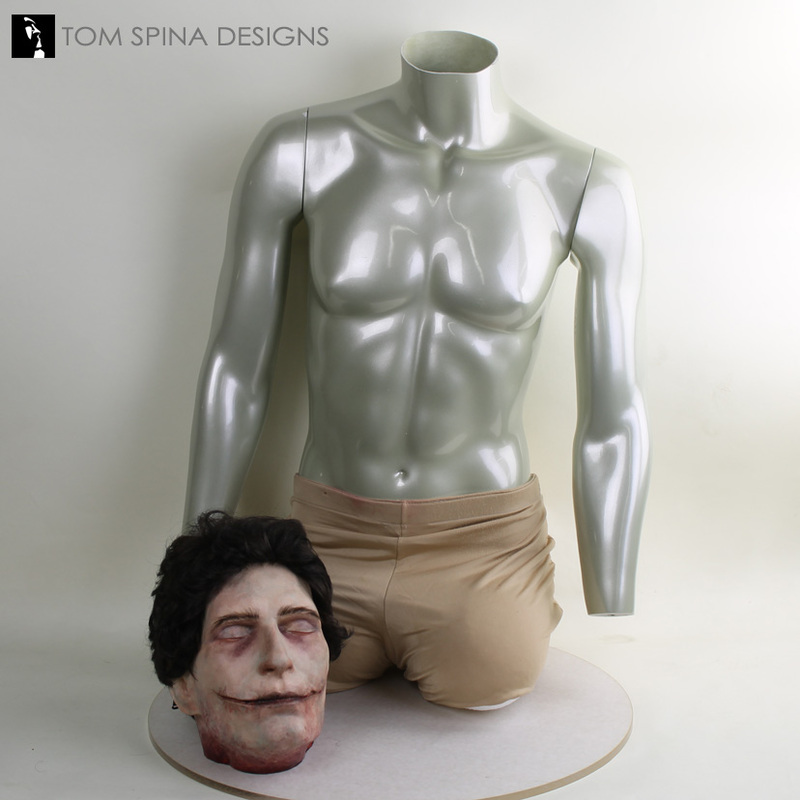 When he asked us to create this display for his Thirteen Ghosts torso costume we were very excited to get the chance to check another one of the ghosts off our list! As with all of the ghosts in the film the torso has a complicated back story which is told by his appearance. His real name was Jimmy “The Gambler” Gambino and he was caught by the Mob trying to welch on a bet he had made. 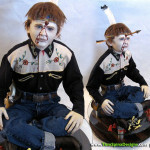 When they found out the killed him, and disposed of the body in pieces, his torso can be seen throughout the film “looking” for his head. 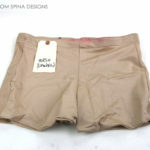 Our client had the actor’s body suit shorts… which was all that remains of the costume from the film. He asked us to make a custom figure and recreate this unique character. We began with a male body form which was customized to lean forward and support himself on his hands. 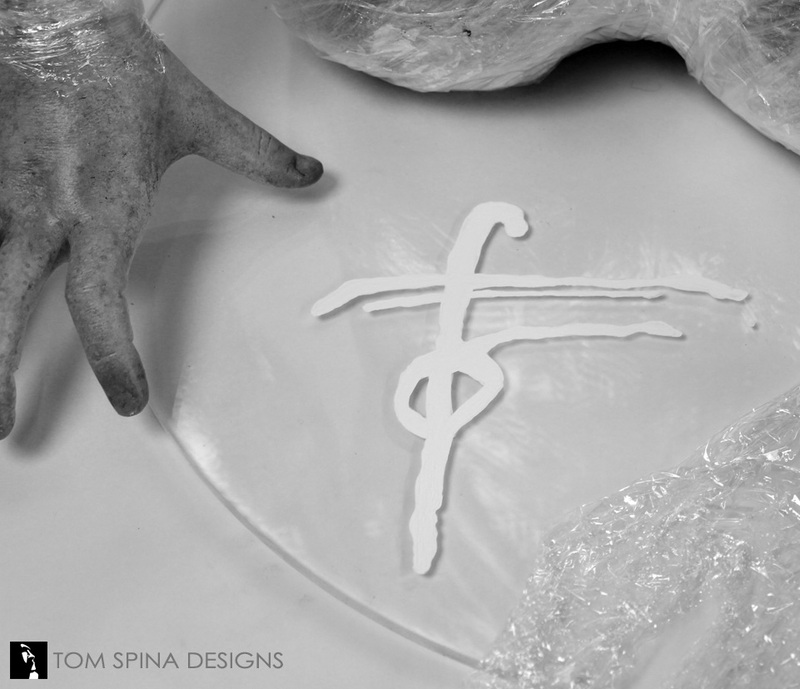 We used life casts of our of our artist’s hands to give them life-like detail and get the proper poses and dynamics. 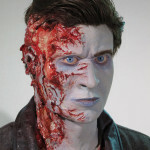 The cross section of his neck was custom sculpted for a really gory finish. In order to keep within our client’s budget we opted to go with a generic head from an existing mold of ours, we also added scarring around the mouth and custom paint and hair, to reflect how the prop head in the film looked. 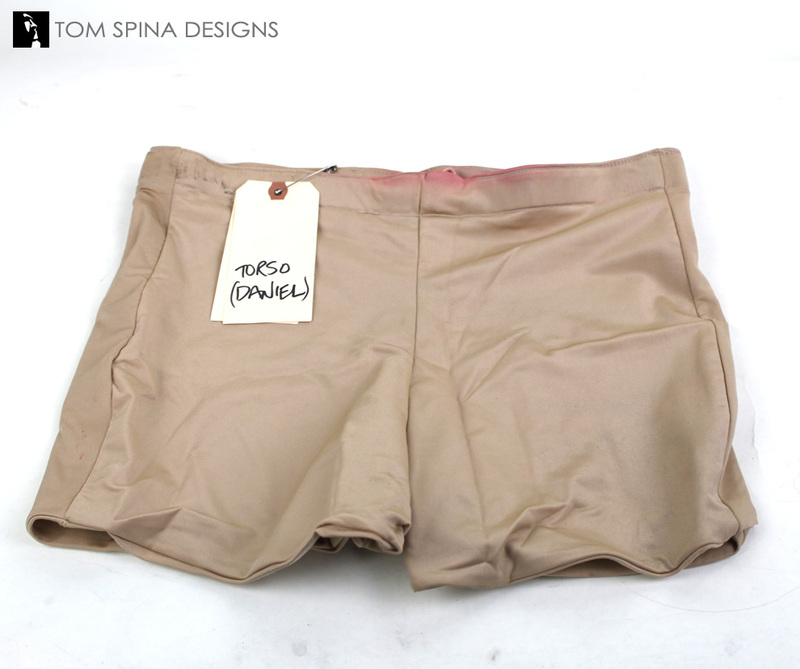 Once all of the pieces had been sculpted we began painting the body with a realistic human skin finish. Even though much of the body was going to be covered in the plastic wrap we wanted to make sure that everything looked very realistic. Then we bloodied him up and added bruising to help tell the story of his death. Then we wrapped in a heavy duty plastic wrap which we distressed so it would not look so “clean and fresh”. 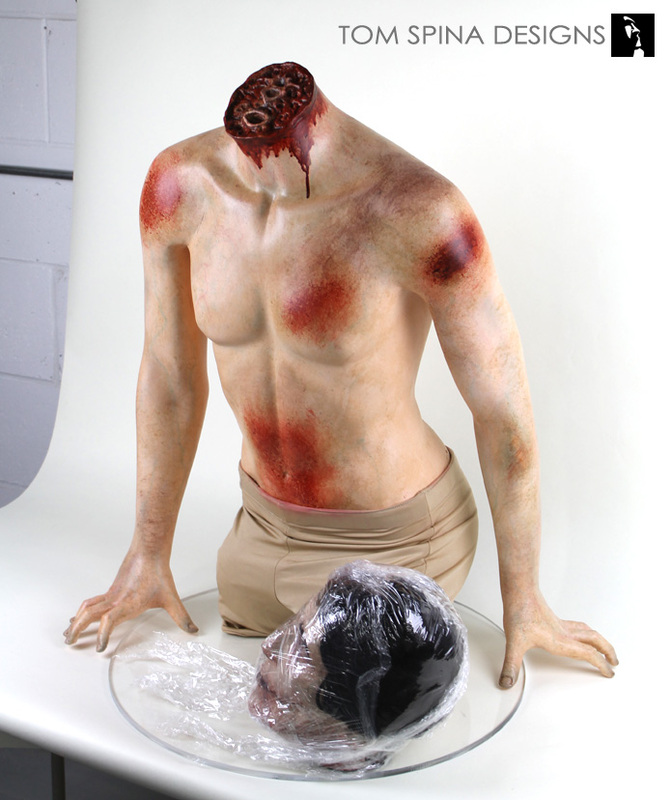 A circular acrylic base finishes the display off and features a hand painted detail of the Black Zodiac symbol for the Torso from the film. 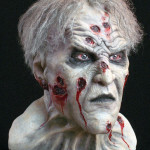 Click here to see all of the Thirteen Ghosts Custom Mannequins and Costume Displays we’ve created thus far! Has seeing these costumes made you want to watch the movie? Buy on DVD, Blu-Ray or Download today!